In the northwest corner of Whitman County, alongside Pine Creek and hidden amongst the undulating hills of Palouse wheat farming country, sits the town of Malden, Washington. This tiny town was once one of the largest and fastest growing communities in the region. As the headquarters for the Columbia Division of the Chicago, Milwaukee and St. Paul Railway (CM & St. P), Malden's growth was based upon the success of the railroad. 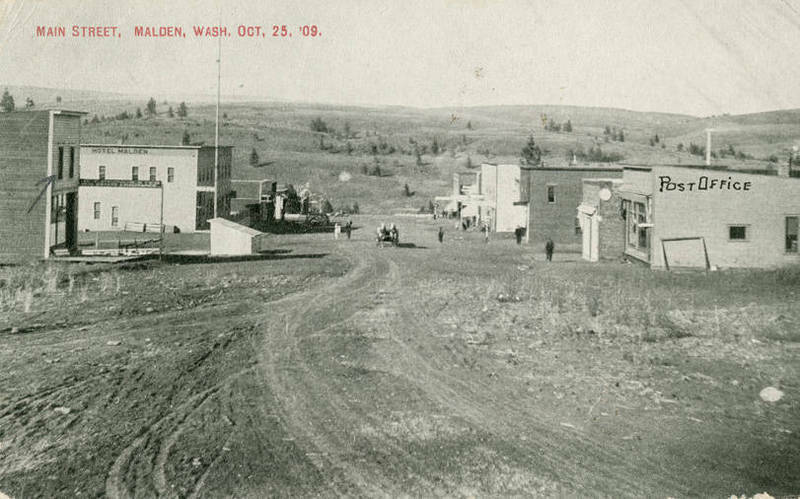 With the exception of some area farmers and ranchers, Malden was relatively unsettled before 1909. That was the year the CM & St. P had a depot and roundhouse constructed to serve as a divisional headquarters. The area was named Malden, after a railroads executive's hometown in Massachusetts. 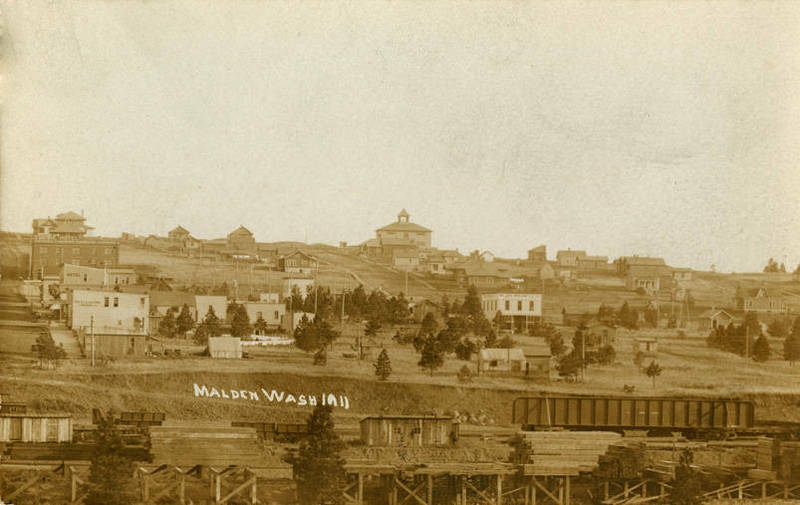 Shortly after the depot was completed the town of Malden was incorporated, and at only .67 square miles, it is one of the smallest municipal boundaries in the state of Washington. Regardless, Malden experienced tremendous population growth for two decades--going from essentially zero to over 1000 by 1920. 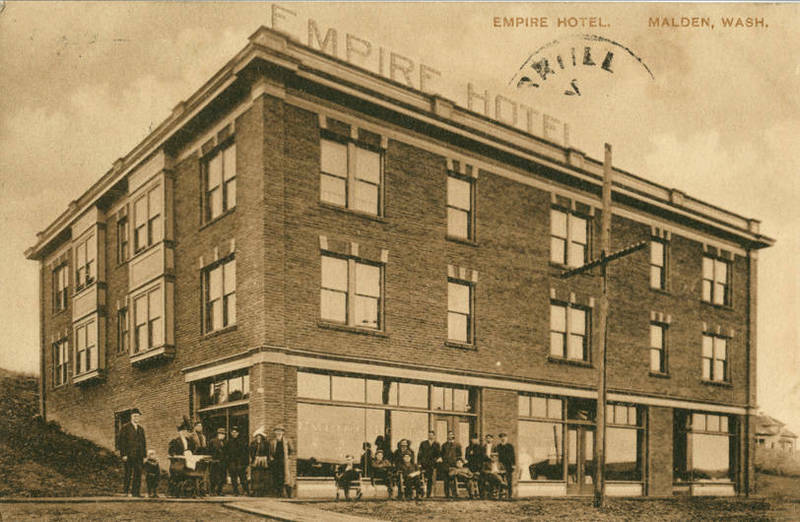 A succession of lodging places were constructed including the Malden Hotel and the Empire Hotel. A newspaper, the Malden Register, was founded. At its height Malden had multiple grocery stores, a hardware store, restaurants and saloons. Many of the residents worked at the CM & St. P roundhouse, which in 1909 boasted "the largest turntable in the world." Malden's boom years proved to be short-lived. 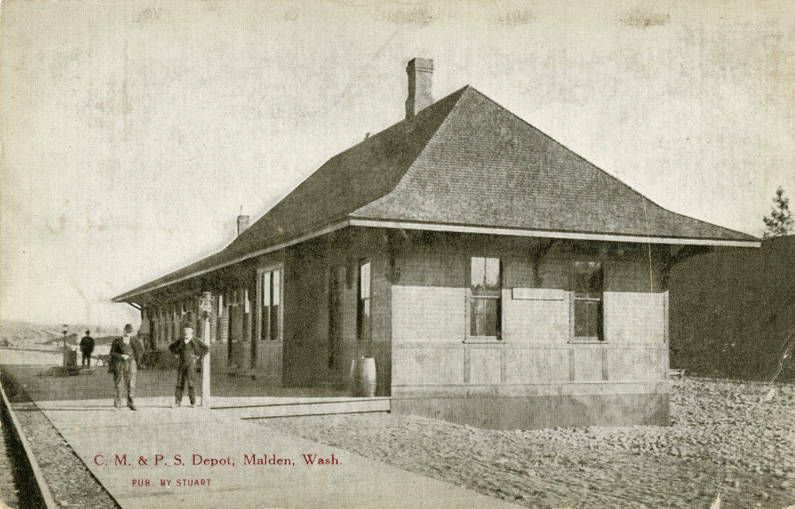 The railroad moved its operations out of Malden in the 1920s, and the population began to plummet. By 1930, there remained only 375 residents. In the 1970s, Malden's train depot was demolished and all of the CM & St. P tracks were removed as the defunct company abandoned its lines. In 2010, the population was 203. The stores and hotels and are long since closed, though a local post office remains open. Malden is demonstrative of the inland Northwest's economic booms and busts, which can be witnessed throughout the Palouse. It also demonstrates the resiliency and adaptability of small towns. As part of a "rails-to-trails" project, the old railway is now a portion of the John Wayne Trail, a popular destination for mountain bikers and hikers. Malden may yet have a second act. 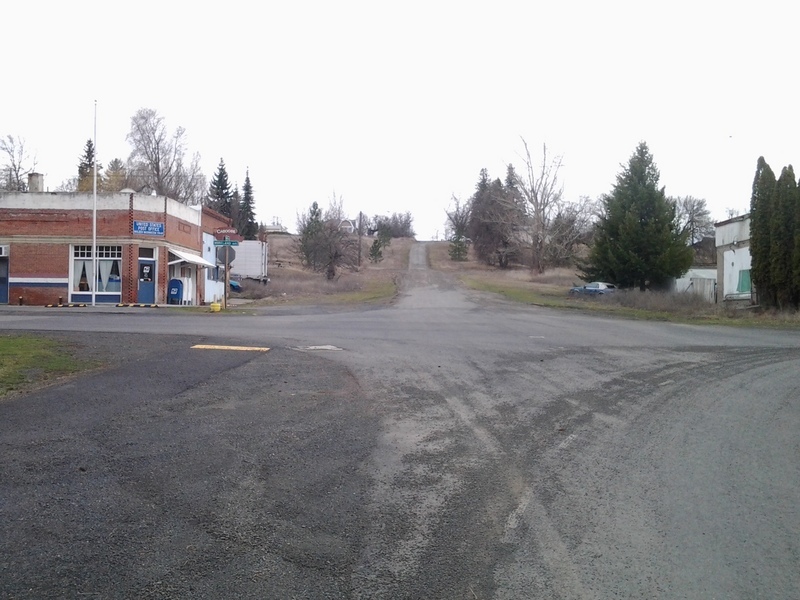 Main Street, 2014.: Main Street, looking south, 2014. This intersection, once the hub of Malden's business district, is a far cry from the once bustling street of 105 years ago. The building on the left is one of the only original structures left, and is still used by the U.S. Post Office to deliver mail to Malden and the surrounding area. Image by author. Robert M. Lambeth, “Historic Malden: From Boom to Bust,” Spokane Historical, accessed April 24, 2019, https://spokanehistorical.org/items/show/421. 1. Railway Age and Railway Review (January, 1914, Vol. 56), 762. 2. Edwin S. Meany. "Origin of Washington Geographic Names." Washington Historical Quarterly, (Vol. XI, No. 1, January, 1920), 128.